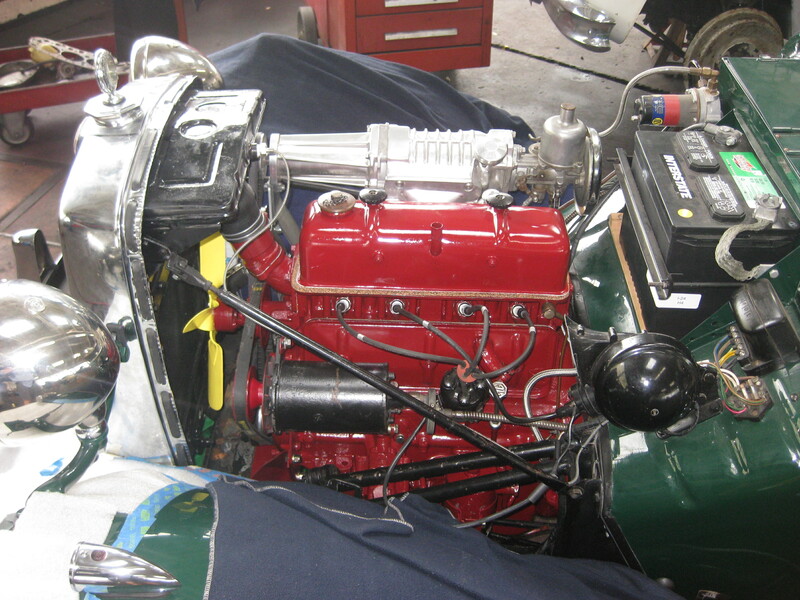 Engine rebuilt with road cam, vernier adjuster and high output oil pump. Moss supercharger, small pulley, heat shield. Custom intake with K&N filter. Triple electric cooling fan set-up with separate dual control, single manual override and telltale lights in dash. Dual brake servos similar to MGC setup. Lowered HD front springs and negative camber lower arms. This car has been my daily driver for the last 10 years or so. Originally it was rescued from being a rusty garden ornament in a Redondo Beach back yard, as a first car for my teenage daughter. It did not fit the bill. My next daughter was not so lucky, getting in early I was able to bribe, coerce and generally threaten her into helping me do a quick clean-up before she was stuck driving it. Its lack of cup holders, air conditioning and the uniquely British “hot driver’s floor syndrome,” caused many heated exchanges in the household. 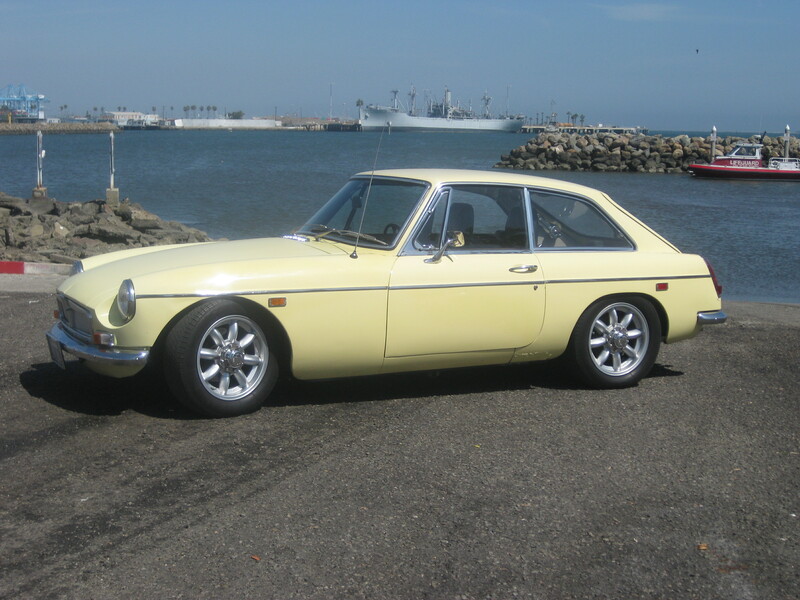 After driving the car in second on the freeway for a few miles lead to more time down in the shop helping dad rebuild the engine, so as soon as possible she was off to college leaving the MGB in the driveway. It sat for a few months and then I decided that although not a convertible it might make a good little run around. So I decided to give it a little spruce up over the weekend. Six months later it had been lowered, neg cambered, twin servo’d, poly brushed and supercharged. The changes have all contributed into making the car feel more modern. 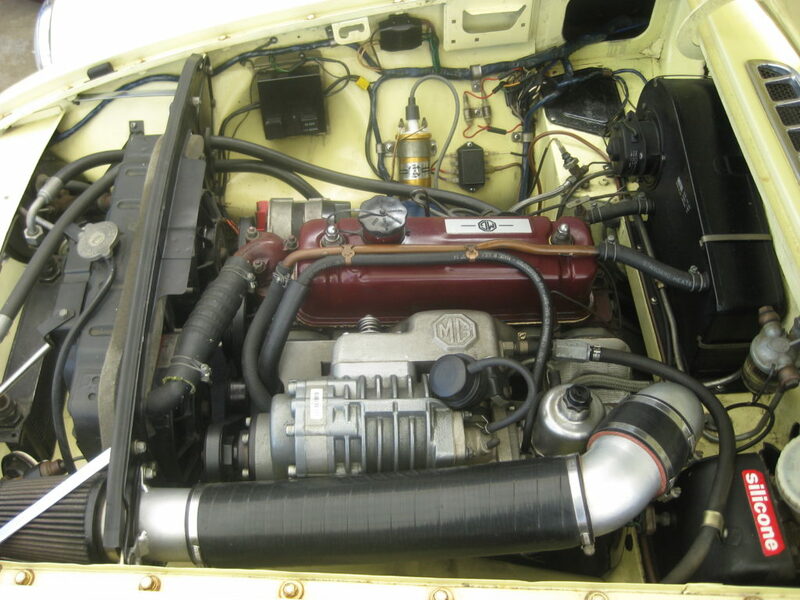 A big concern prior to fitting the supercharger was would it make the car unreliable and fussy. I have to say after 25K miles of untroubled driving it is quite the opposite. 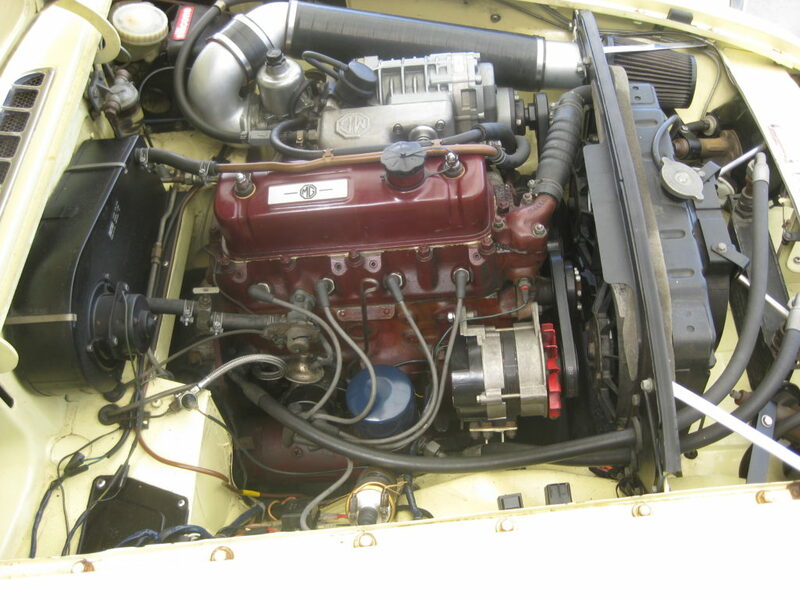 The low end power gives it the feel more of a TR4 or 100-4 Austin Healey, but unlike these low revving engines it spins up well with good power throughout the range. It’s nothing extreme just solid reliable horsepower. Very early on I fitted a small pulley and have not had any issues. I found the stock air filter arrangement supplied with the kit to be a bit noisy on the freeway, so I made up an inlet that breathes through a K&N element down in front of the radiator, giving me cooler air and no induction hiss. On the freeway in overdrive at 90 I am barely touching the gas pedal, it just motors along. I use premium has and an octane booster with each fill up. The only downside if I was being extremely critical is that it cranks for couple more seconds before starting. Overall this car has been a fun daily driver that I can take anywhere. Maybe one day I will get around to cutting all of the rust out and giving it a decent paint job. This lovely 1953 MG TD is owed by some very loyal customers of the shop. 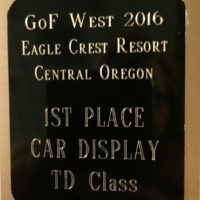 They recently took the car to the GoF West car show in Santa Maria, Ca. 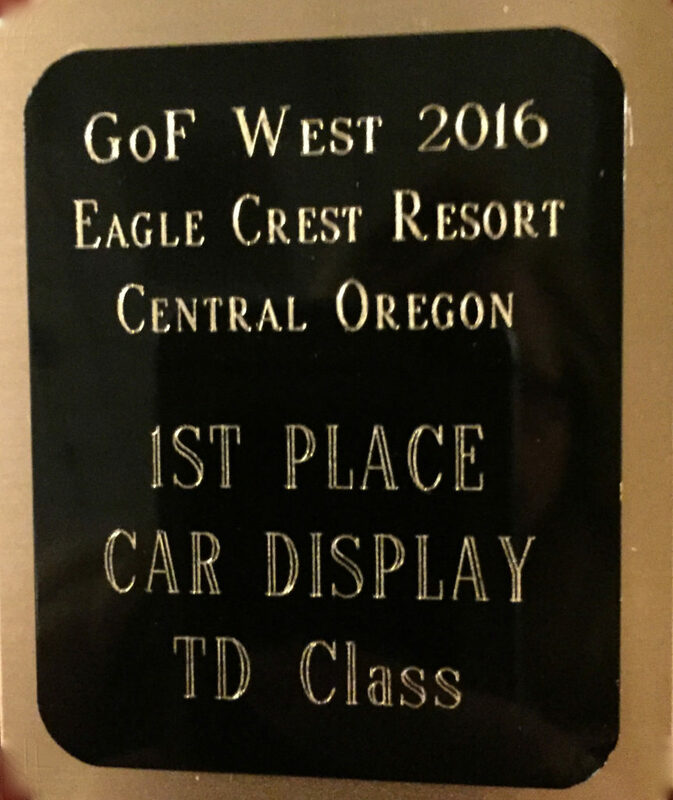 We are happy to report they took home first prize in the TD class. One of the neat features of this TD is the addition of a supercharger, which if we do say so ourselves makes this TD quite unique. 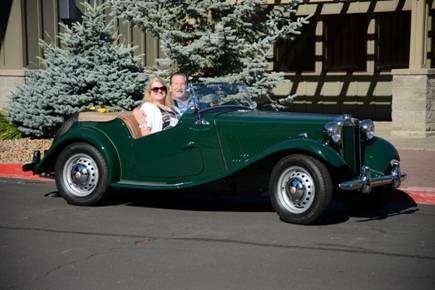 GoF is an annual MG event that features a rally, technical sessions, parts auction, a car show & an awards dinner. Their are 3 held every year in the western, central, & eastern United States. GoF stands for Gathering Of The Faithfull.